Flipside Ridehouse named one of the top 10 scooter dealers in North America by MADD GEAR USA! MADD GEAR's new scooters will the lightest and strongest scooters on the market. When I say lightest...the new Nitro is the same weight as a new District complete. Yet the strength will be unrivaled and will still carry MADD's unheard of 1 year warranty. They have set the bar for pro scooters in the Stratosphere...game on. 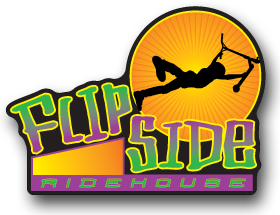 » Flipside Ridehouse named one of the top 10 scooter dealers in North America by MADD GEAR USA!